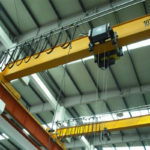 2 ton overhead crane is the lifting equipment that belongs to the light duty bridge cranes. It doesn’t occupy the floor space and not affect the work on the ground. The product is very convenient to operate in any range. 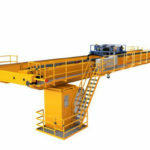 This crane is widely applicable to the loading and unloading of ordinary heavy objects, and can also equip with a variety of devices for special operations. The product is a new type of crane with a promising prospect. This equipment is suitable for the work of loading, unloading and transporting objects in machinery manufacturing, assembly, warehouses and other places. The product has many advantages of compact structure, light weight, low building height, high interchangeability of parts, versatility, reliable performance, and easy installation and maintenance. There are two types of control methods with ground operation and controlling room. Ground operation is divided into wired control and and wireless remote controlling. In fact, overhead cranes have different types including the LX model, LD model, LDP model HD model electric single girder bridge crane. 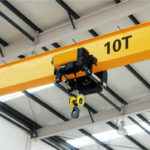 They belongs to the light duty overhead cranes with a capacity of 1 to 20 tons. For 2 ton bridge crane, it can be designed with different types. Generally speaking, the 2 ton crane adopts the structure with single beam. The span is 10.5~22.5 meters. It can work in hash environment at temperature of -25 to 40 degrees. However, some cranes are prohibited to use the equipment in the combustible and explosive environment. In most cases, it can work together with CD1,MD1 model hoists as a whole. We have a very wide range products for demands of crane market. 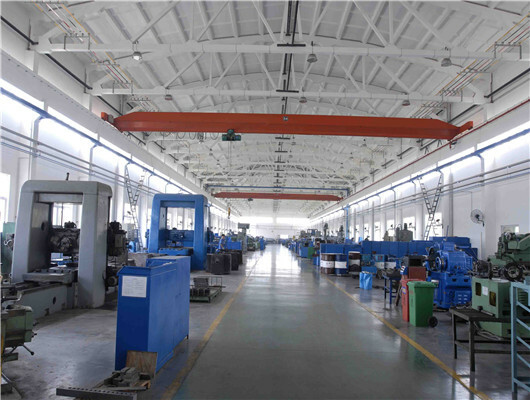 We has more than 30 years manufacture’s experience of 2 ton overhead crane. It is seriously designed according national standard. In addition, Weihua relies on scientific management system and convenient transportation conditions, which provides the customers with lifting equipment with reasonable price and and beautiful exterior. Owing to strong production capacity and advanced inspection methods, our company creates products of superior quality, which serves the crane industry and exports foreign markets. 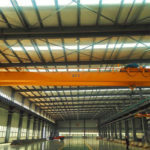 What’s the Cost of 2 Ton Overhead Crane from Weihua Group? 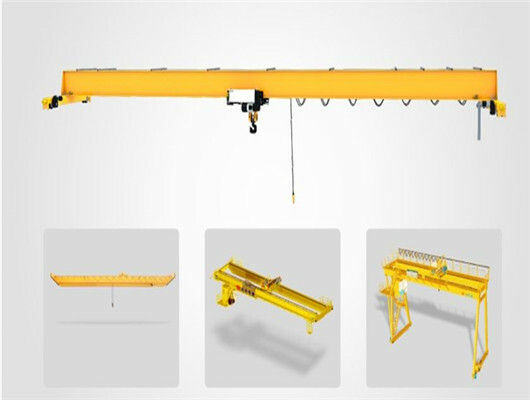 As the leading manufacturer and supplier in construction machinery in China, we can meet many customers’ demands for 2 ton overhead cranes. Our experts have fully considered the modular design, which makes the parameters of the series including the complete machine and the parts match each other, then distribution of the capabilities reaches the most economical and reasonable collocation effect. The modular design replaces the traditional crane structure method. The components with the same basic functions on the crane are used for multiple purposes. The same connection elements and interchangeable standard modules are used to form a combination of different modules. According to users’ requirements, we can design different types and sizes of cranes. This product equips with the most advanced technology to improve the safety and productivity of users. Through our intelligent function, we can realize the overall control of material handling, which improves the safety of operators and reduces the cycle time of loading materials. We always put customers first. When you order or purchase our products, we can give you a reasonable discount. Although 2 ton underhung overhead crane has the light weight, it has many advantages with compact structure, low noise, safety and reliability. The cranes use the most advanced crane technology. In addition, it equips with a series of intelligent functions that help the users achieve controlling ability of products and their loads. Special cranes can meet special needs. 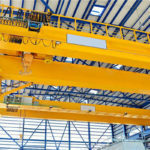 Many industries require unique cranes for their specific operations. Our cranes not only have a lifting capacity of many type’ tons, but also can be designed and optimized according to your specific lifting requirements. We adopt personalized lifting design. Our group will work closely with you to achieve the perfect customization of each crane according, which can meet your lifting requirements just right. In addition, we use mature technology that combines with emerging applications. The customized cranes use the standard design. What’s more, our experts will also design new components according to customer needs. All parts of the lifting equipment must be tested in order to ensure safety and reliability. We use the latest technology in order to significantly increase production safety and production efficiency. For industrial bridge cranes from the individual components to the entire operation process, all reflect our team’s highest quality requirements. This series of products have a variety of types, which ranges from the basic configuration of the standard models to the use of high-tech advanced models. Its high adaptability has become one of the highlights of this series of products. 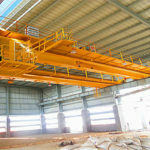 The greatest advantage of this overhead crane is its ability which efficiently uses the service space under the crane. In addition, with the help of a variety of intelligent functions, the operation of the equipment can be easy. The experts design some special mechanical components, which deals with some conditions for the special requirements. These products are independently designed, manufactured and assembled by our company. 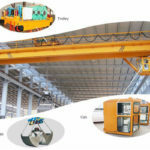 Recently, the lifting equipment is one of the best 2 ton overhead cranes in the market for similar products. Our company has committed to provide clients with the best service in the crane industry forever. The quality of the service is based on a safe, reliable, and high performance technology, which increases efficiency and productivity for customers. 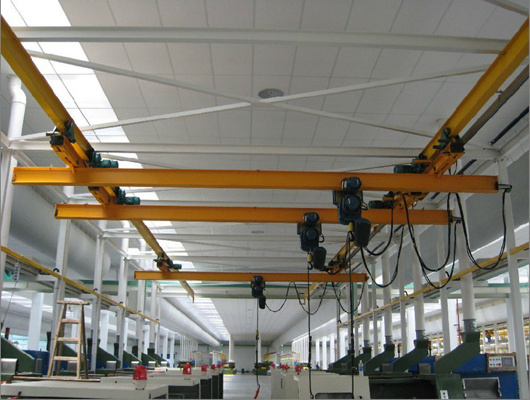 The control elements of 2 ton overhead crane are designed with safety and good performance. Wireless controlling and remote operation of crane management system all help you use and monitor your working process. The reasonable operation can help you optimize process and maintenance activities. Weihua is a company that specializes in single girder cranes, double girder cranes, gantry cranes, and a variety of bridge cranes. Especially for 2 ton overhead crane, it is very popular. In addition, we have adhered to the principle of based integrity and sound management. We have courageously participated in the healthy competition in the market, so that our company’s brand has a good reputation. We adhere to the principle of service-orientation and customer-orientation, which has enabled our products to win the trust of customers in engineering and construction cranes. We establish a good corporate image. 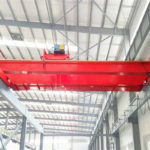 Are you looking for the 2 ton overhead crane? Please do not hesitate to contact us for inquiry and quotation. We will spare no effort to help you. 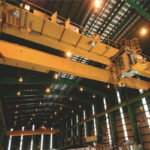 If you want to learn more other overhead cranes, you can get in touch us as soon as possible. Our company has much experience in manufacturing lifting equipment in construction machinery in China.